The LEGOLand Discovery Centre in Manchester are hosting an evening for ADULT Fans of LEGO on Wednesday 18th June from 7:00 to 9:00pm. I see that they are charging £12 a ticket (£10 a ticket and £2 tax)and it is for 16 year olds and upwards only. Meh, is it worth £12? I just don't know where to start with the advert. AFOL - Friends or Fans - I always thought Fans, but whatever right? Though when you click through to the ticket page it has both listed. A little consistency please. Its a chance for all us dateless wonders to go in without children. I've been in though, I wonder if we'll get to operate the machine to get bricks and go in the soft play. There really isn't much to do for adults, unless you want to go on the kiddy rides, build a duplo tower and knock it down and sing Friends Karaoke. I suppose its a chance to meet fellow fans, but they're hardly enticing us in are they? No discounts, no special event really. Reckon you can get it with a Merlin pass? I only saw this event a few days ago and was considering going along, so wondered if there was any reference of it on here. After reading the comments here though I'm reconsidering. I've dropped the centre a message asking for some more details and will post what they come back with. I'm hoping its positive as I past within a mile or so of the TC on my way home from work so would be an ideal location for me to get to. This will be an exciting AFOL Evening Event at LDC Manchester. Sounds like it might be worth a look, but it's kind of odd doing it on a Wednesday evening, I wouldn't be able to make it there in time after finishing work. Plus that seems a lot of things for a two hour event. Hopefully someone who goes can report back for us for future reference. ^ well you could be on to a winner there then for the rides :-). I'm just hoping that they measure people in Lego bricks rather than feet and inches. Because well, that's just the way it should be. One thing I did ask in my original email to them was whether there would be any giveaways/goodies/discounts and well as you can see, it hasn't been brought up at all, so I'm guessing the answer is no. 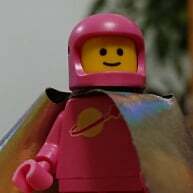 I think I might go along though as I haven't been to any sort of Lego event since I was a kid and Brick 2014 is still such a long way away. Alex is great fun. I loved his talk at Afolcon 2012. Hope you guys that go along have a great time. ^ I had tears in my eyes for the duration. I'd pay good money to relive that talk. I love ’im. Edit:- Have started laughing to myself about it. Was so funny. I wondered that whilst typing last night. I then went on to consider I might have given up recording through laughing so much. A good half a dozen of us were in hysterics for the first half of it but managed to straighten ourselves out I think - right up to the point when my phone's sat nav started directing me to McDonalds or somewhere "At the end of the road, turn left". I have to say, there are few things I can look back on and think "that was proper funny" and start laughing but I remember just how many tears were shed during that half an hour. I think @silentmode posted recordings of the AFOLCON talks somewhere on the forum? He did for STEAM 2013 (http://www.bricksetforum.com/discussion/12537/talks-from-the-great-western-lego-show-steam-2013#latest) but don't remember seeing any from AFOLCON. ^ Maybe that's what I'm thinking of then. Not the AFOLCON part, I'd assumed (from the first year) that they contained confidential information. Well thats my ticket booked. Hopefully I'll see some of you there. I'll be there. I going to the food court for a bite to eat first. ^ As @stormKitty has just pointed out to me it now looks like this is a free event according to the page on the LDC site, so if you've paid for a ticket like me then you might want to enquire about a refund. Will be good to see you there. Yep, just seen on their Facebook page that it is now free. Now to get my money back. I have to get permission first... and i think it clashes with a meeting about the village fete. Jesus I'm so middle aged! The build a model area was very popular and Alex Bidolac, the Discovery Centre's own Master Builder had a good crowd for his presentation. Then it was over to the café area for the 'Guess the Set in the Box'. The winner got the set and it was one of the latest City themed Train systems (with over 900 parts). A nip around the shop and the two hours was up. So quick, so compact and a lot of fun. It was great to chat to AFOLs I already new, great to see members from four different LEGO User Groups (LUGs) - 'Northern Brickworks', 'Brickshire', 'Brickish Association' and, of course 'Brickset'. More so it was fantastic to meet many new faces. In conclusion, I worked best because it was free but this only meant I'd spend more in the well stocked shop (apart from a poor Pick-a-Brick section). These was plenty to do and the choice of what to participate in was entirely up to you. Inevitably the tow hours meant things had to be missed - like getting good photographs of the Miniland - but that means there is always something their for next time. Lastly, meeting and greeting strangers does not come that easily to me and (and probably so to others) but I hope that with more events taking place, these strangers become more familiar and greeting them becomes more of a pleasure. Then the LEGOLand Discovery Centre can take credit for helping build up bonds in the AFOL community.